Going the Extra Myles to Get Back to Akron | Did The Tribe Win Last Night? The Akron RubberDucks have certainly gone through their trials and tribulations this season. After starting off the year being one of the best teams in the Eastern League Western Division, they’ve seen their record drop and have had a hard time putting any type of win streak together to try and fight their way back. They’ve seen their top three offensive producers in Francisco Lindor, Tyler Naquin, and Joe Wendle either leave from an injury or promotion. They’ve also gained players who have taken advantage of their extra playing time in Anthony Gallas and Erik Gonzalez. 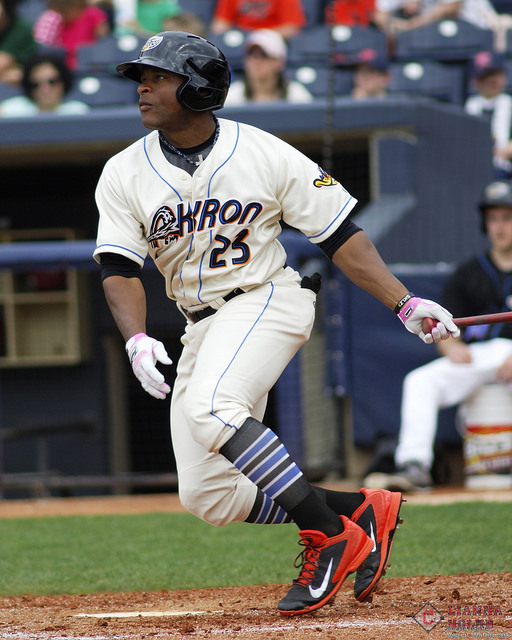 There’s one guy though that the RubberDucks are certainly excited to have back in Akron, outfielder Bryson Myles. Myles missed a good chunk of the season after injuring his right knee at the beginning of June. He injured his meniscus in his right knee back on June 8, and didn’t return to action until July 24. The loss of Myles was just the beginning of the injury woes that would soon hit the RubberDucks. After Myles went down, Gallas was brought up to Akron, who has taken complete control of the outfield as he has hit the cover off the ball to help out the lineup. Players like Jordan Smith and Ollie Linton have also helped out in the outfield since the loss of Myles, but now he’ll be rejoining them after his return to Akron. “As soon as I left, I was ready to get back. I got down there to Arizona and got right to work. 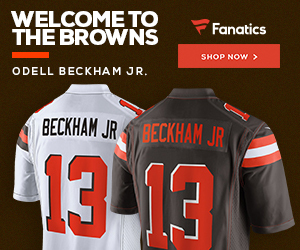 My main goal was to get back here and do whatever I can to help this team win,” Myles said. After having surgery on his right knee, even after the RubberDucks had all of their injuries, Myles wasn’t rushed back to Double-A. The key for Myles is to be healthy and 100% to help contribute again. He’s been a key member of this team all season long, and manager Dave Wallace will be looking for him slide right back into the lineup as if he never skipped a beat. In order to do this, he had to make sure he was taking his time and working with the staff down in Arizona to get back to Akron in good shape. In Myles’ case, he’s one of the most balanced players around in terms of power, contact, speed and fielding. What makes him such an asset to a team is that he can provide all of these tools and execute them intelligently. He may not extremely excel in one category, but he performs well in each. In order to stay on par in each aspect, he has to work hard each and every day. This is how he handled his time in Arizona following his surgery. The effort that Myles showed in Arizona to get back to Akron tells a lot about his character. He’s a hard worker who is willing to do what it takes to help out his team. Now that he’s back in Akron though, he’s ready to get back to 100% and get back to full baseball activities. “I think with any injury, just mentally, I think it kind of takes a toll on you some. Just being able to trust [my knee]. I think I’m getting through that,” Myles said. In his nine games since returning from the DL, Myles is hitting .250/.300/.426 with one double, two home runs, four RBI and one stolen base. Obviously he is trying to still get back into the groove of playing after being out of Akron for nearly two months. During his rehab, he was able to spend some time getting some baseball activity in the Arizona League. In five games at Arizona, Myles hit .500/.500/1.050 with five doubles, two home runs, nine RBI, and three stolen bases. After this display at Arizona, Myles was then activated and sent back to Akron to rejoin the team. Once he returned, he slid back into a lineup that was vastly different from what it was after he left. With Lindor, Naquin, and Wendle gone, Myles was set to fill in the role that he provided when he left. To him, the part that he plays on this team hasn’t changed, even after the departures of his teammates. “Everyone has their role. Sometimes that changes day to day. That role can change even pitch to pitch, your role can change as far as what the team needs you to do,” Myles said. Lindor, Naquin, and Wendle were a huge part of the team in every asset, but these types of changes is something that Myles is used to seeing in the minors. This doesn’t change the way that he approaches the game every day. Myles’ return is exactly what the RubberDucks need right now. In their last ten games they’ve gone 5-5 and have been outscored 41-42 by the opponent. The team has also slid down to second place in the Eastern League Western division and are 6.5 games back behind the Richmond Flying Squirrels. Myles bat will be something that the RubberDucks will be glad to have back in the lineup to go alongside Gallas and Gonzalez’s hot bats.